Travel through Time. Travel to Tillie’s. Through its breathtaking architecture and innovative menu, Tillie’s lives the American Nouveau concept. The restaurant’s building, a repurposed town hall from the Ninh Binh region of Vietnam, is the physical embodiment of a dining experience that takes inspiration from history and cultures. The Tillie’s culinary journey is inspired by traditional American cuisine, but with an international flair. Food is an integral part of our lives… it’s what brings us together, how we connect and why we celebrate. The beauty and history of Tillie’s is an extension of the property on which it sits. 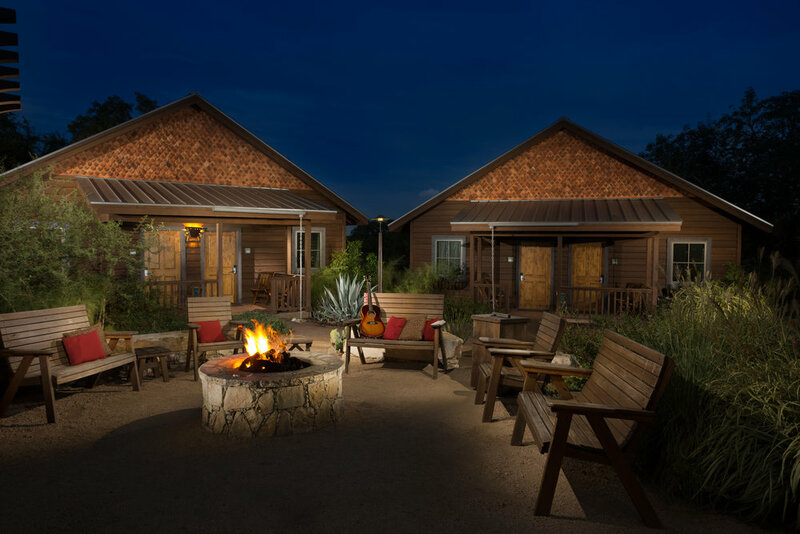 Camp Lucy, a Texas Wine Country resort, combines the sophisticated charm of the Hill Country with world-class luxuries and modern amenities. Camp Lucy’s breathtaking views, posh guest rooms, event spaces, and standalone family cottages are the perfect setting for leisure travelers, corporate meetings, and weddings alike. Tillie’s, culinary menu takes what’s familiar and infuses it with an array of international flavors to create something truly unique. We are located at Camp Lucy in Dripping Springs.